Not every company has dozens of recruiters. Or an employer branding team. And a massive budget for the best new ATS. Truth is, for the vast majority of businesses out there, recruiting is generally the responsibility of a few people who have a dozen other tasks on their plate as well. And yet, recruiting for those business is as important as ever, because while a bad hire can hurt a large company, it can bankrupt a smaller one. So how do you do it? How do you recruit effectively, even without a big team or a big budget? Well, to answer that question, at Talent Connect Sydney we hosted a panel composed of recruiters who have had success finding great talent despite a small budget. And what we got from that panel, along with some sprinkling in of LinkedIn data, were eight actionable takeaways any small team can incorporate. 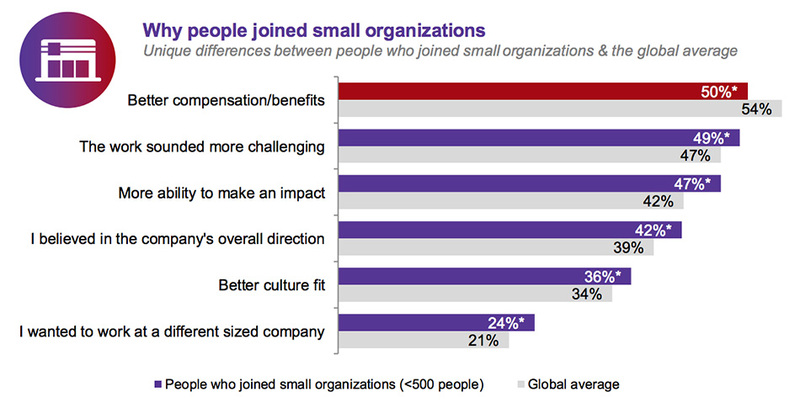 First off, LinkedIn data shows that there is an inherent benefit to being a small company. After analyzing every LinkedIn professional who changed jobs in 2014, we found that people were much more likely to leave large companies for smaller ones, as opposed to the other way around. All of that is great news for small recruiting teams, and should help inform your messaging. When crafting your job postings, your employer branding, your InMails and when talking with candidates, remember to emphasize the fact that new hires at your company – specifically because it’s small –can have a major impact and shape the future of your business. Senex Energy is an Australian-based energy company of about 180 or so employees that has to compete with massive companies like Exxon Mobile and BP. So, when Allan Waldron was brought in 2013 to help them recruit, he knew he had to use whatever tool was at his disposal to help him recruit. Waldron figured he could get great talent to come to Senex because he’d be able to give them a great offer faster than his competitors. To make this happen, he would bring in hiring managers early on in the process and do interviews with just a select few candidates (more on that later) quickly and give them an offer before the competition could. “While most of our competitors would still be in the recruiting process, we already are handing them a contract,” Waldron said. Katy Harris is the head of recruiting for The Iconic, an Australian-based online fashion retailer with a staff of around 300. The Iconic is a place a lot of people who are into fashion want to work, and whenever there is a job that relates to that side of the business, they get plenty of good people applying. Therefore, Harris hired a junior recruiter to fill those jobs, as sourcing isn’t so difficult. However, being an online business, The Iconic needs quality tech workers. And while people who are into fashion are lining up for jobs at The Iconic, people who are into tech don’t necessarily have the same passion for clothes. Therefore, those jobs become much harder to source. 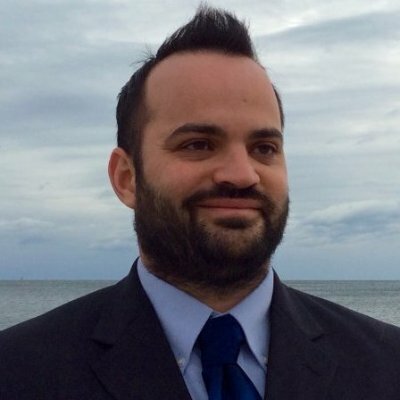 In response, Harris hired a senior-level recruiter to handle all of those placements. Sounds obvious, really, but highly logical: if you have a limited budget, you have to be wise where you spend it. By saving money on easier-to-fill jobs, Harris could spend more to get a senior recruiter who can fill much harder-to-source positions. At Senex, Waldron makes a point to focus on quality over quantity when hiring. Keeping with that philosophy, rather than posting jobs on job boards and getting a hundred or so applicants, he prefers InMailing a select few high-quality ones who he’s really interested in. “Rather than deal with 100 job applicants, I’d rather deal with a few people who I can really spend time with,” Waldron said. One thing both Waldron and Harris agreed with was they didn’t want to spend a lot of money on an ATS. It wasn’t even the cash, per se, it was they didn’t want such a complicated system. Waldron did wind up buying one, only to strip it down to its barest parts to make it as easy-to-use as possible. Harris, conversely, saved money by having her own internal engineering team build a system that was good enough for her (she estimated she’d have to buy an ATS only if The Iconic expanded to 500-plus employees). The Iconic is a medium-sized business with no employer branding team, and Harris has no marketing background. Yet still, she knew investing in employer branding would help her recruit, even if she didn’t know how to go about it. So, she met with The Iconic’s head of marketing and asked for help building an employer branding strategy. The head of marketing obliged, and The Iconic’s recruiting team soon became active on LinkedIn and other social networks, posting content that made the company more likeable and gave insight into what it’s like to work there. What are the key results from these efforts? Well, The Iconic now has over 11,000 followers on LinkedIn, their Talent Brand Index improved from 11 percent to 25 percent and Harris chalked up a 60 percent drop in staffing agency costs to the company’s stronger employer brand, which has helped them attract talent easier. So, no matter how small the company, a strong employer brand is always going to help. Harris and Waldron both agreed that referrals – often cited as the most reliable source of great talent – are critical to recruiting, particularly with small companies. Hence, both emphasize referrals within their company. Harris keeps The Iconic’s referral program top-of-mind by focusing on internal marketing – marketing to The Iconic’s own employees – along with traditional employer branding. That means passing along content for employees to share and encouraging them to post open positions and refer people they know. Waldron agreed, saying one great time to ask for referrals is during onboarding. After he onboards a new hire and they are comfortable with their role, he’ll ask if they know anyone else in the industry, for the hope of getting two hires for the price of one. Last but not least, both Harris and Waldron agreed that while recruiting, you have to be mindful of the type of people you need. For example, Waldron said longtime employees at large oil companies often aren’t a good fit for Senex, as they are used to having very specialized roles. At Senex, being a smaller company, there is less specialization and people need to wear multiple hats. Therefore, while those candidates look great on paper, they aren’t right for Senex, Waldron said. Harris agreed. Finding flexible people who can take on many roles might not be important in a large company, but is critical in a small company, she said.